Circuit Mono Station | Focusrite Audio Engineering Ltd.
3 sequencer tracks with 32 velocity-sensitive RGB pads, 2 oscillators and 3 distortion modes. There is nothing like this machine out here. It's a one of a kind analog synth and it's absolutely amazing. An amazing unit to compliment the circuit or any other equipment. With the coupon code - this was a no brainer! I am a huge fan of Novation quality and service. Awesome synth. mind blowing sequence in a couple of minutes. Fantastic monosynth with a great sequencer. This unit pairs well with other drum and synth hardware out there. A great compact implementation of the Bass Station II sound engine that takes it in new directions! What happens when Novation crosses a Bass Station II with a Circuit? Whatever it is, the Circuit Mono Station is no joke. I have had the Circuit Mono Station for less than 24 hours and it has been quite impressive sounding and fun. I'm fond of low end my Bass Station II, and older Super Bass Station Rack, can produce. So, I've been playing more with bass sounds and riffs and haven't really dwelt on making leads except checking out the presets. All around the synth engine is impressive. The interface is tactile and intuitive like the Circuit. I've been a Novation fan since I bought a brand new Bass Station in the mid-90s and own at least eight other Novation products. I'll be spending a couple of rainy days this mid-week integrating this lovely beast of a groovebox with my other kit, including a modular, semi-modulars, and vintage gear. Got it for 50% off. Nice synth for that price with lots of sequencing possibilities. A kind of DSI Evolver with a better interface but less features. I bought my Mono-stationed part of a special offer Novation were offering. It was a good deal at the Street price but at the special offer price it’s a fantastic deal. I have other Novation products so expected something good. The build quality on the Monostation is excellent and the features are extensive. For me this will be a journey of discovery into a new musical instrument. Great sounds and fun to use. I love the circuit interface, the synth sounds great and the sequencers make this synth a powerhouse. It’s brilliant and I can’t wait to see what comes out in the future firmware updates. I've been very happy to have ordered the Mono Station and it will become a valuable tool in my studio. Quality is very good and sturdy ! Value for money, i would say : not full retail price, wait for a discount. Excellent sounding device, and the Circuit sequencer is so accessible and easy to use. Simple yet deep, inventive and inspiring; well done novation engineers. Very nice device, it works great in conjunction with a circuit and like the circuit is very much fun to play with. Novation Circuit mono Station, What an amazing synth and Novation also has the best update cycle of all the brands of synths i own, adding features that makes you fall in love with your synth again and again. best value for price, really fun and intuitive, and sounds really good, the suboscillator it's so huge, and the sound design capabilities are amazing too, fix in the mix very well. I'm so happy. At a previous customers price it was a bargain!!! Novation Circuit Mono Station is AWESOME!!!!! A fun desktop synth and great way to come up with new basslines and phrases. Great analog synth. Great sound. Killer sequencing power. Excellent sounding analog synth with an extremely powerful sequencer. I would most definitely recommend. It’s going to get a lot of use in the studio. This is so much more than the sum of its parts. Admittedly I had already been using a Circuit which has similarities in the sequencing controls (though by no means the same), but I managed to get creating weird and wonderful sounds and sequences right away, while - crucially - actually understanding what I was doing. It's a strange combination of elements in one device, and yes it even looks like a Circuit + Bass Station II cut-and-shut(!) but rest assured this thing is powerful, fluid and dangerously addictive. Such an awesome synth for its size, great for gigs and sound design. Good analog sound with modern interface. It's a great product and it works really well. Now I want to connect it to his little brother Circuit and do a lot of stuff together! Thank's Novation for all your products, you are awesome! Really good synth with so much possibilities. And bravo for the CV connections! Easy to use, sounds great. Only really scratched the surface of everything it can do. Links up with the circuit for extra useability. This little box is just brilliant, it's well built and the sound is exactly what I expected. I'm loving it. Very great box, brought me back to standalone synth, realy leads to immediately creativity. 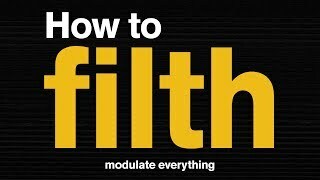 Find using it much more than other better sounding and much more expensive synths just because of the interface. The first features I missed already came witch a firmware update- expect it to get even better. Sound is not too great but not bad too- therefore only four stars. It's a beast of a machine. Versatile and raw. If you need analog sound, this is a nice device. It is the perfect addition to my Circuit. If you need to control other synths with CV, the Mono Station can get the job done. It is a great team player thay syncs to almost anything. An amazing monosynth with a fabulous fat analog gritty sound and plenty of modulation options. I can spend hours just tweaking the presets and coming up with new sounds. The sequencer is as powerful and intuitive as the original Circuit's one and is very powerful, especially the ability to sequence the second oscillator independently is a godsend! Just awesome sound, another great notation circuit! Make sure you register your product at Novation / Focusrite. I have received a significant discount on the Circuit Mono Station that did not make me think twice about buying the Circuit Mono Station although i already own the Bass Station II. The Circuit Mono Station really shines because of the excellent sequencer with similar features to the Elektron gear like parameter change per step. I was always a bit reluctant about buying the Mono Station (mostly because of the price) but now i realize that this device is a must have. Together with the circuit you can easily do a performance. The sound and the possibilities are endless. If it is not possible to do a great performance with these two devices then you should consider starting a new hobby. The mono station is a lot more than a simple iteration of the bass station. It is so much more because of the 3 sequencer tracks, the modulation matrix etc. I was already using the circuit in combination with the CV.OCD to sequence my modular system but the Mono Station was something like the missing part in my setup. I would suggest everybody to at least try the mono station and i am sure that you are going to be amazed about the sound and the possibilities. The price is a bit lower now and because of the software updates on both devices the experience is always improving. Most company's put something on the market and forget about it but Novation keeps on adding new possibilities and that is what i love about the Novation team. Huge analogue sound, excellent control,super easy to learn, quality build and most important lots of fun! Love the analog grit and dirt. I have been enjoying my Circuit for several months, and now I'm planning to wire it together with Monostation into a majestic groove combo! Great product - amazing sequencer, nice deep bass, it's a keeper! Great product. I get on well with the circuit so thought I would get this to go with it and I am not disappointed. Great service as always from them. Excellent paraphonic synth, a bass station 2 basis fueled by the power on the circuit sequencer, to achieve crazy sounds !! I am using Novation products since 2000 and always a proud owner. Mono Station is no exception. It is well built and enjoyable. Feeling very good touching it. Loved the circuit already, but the mono station takes it to a new level. Perfect addition, quality product with tons of possibilties to play around with. Perfect for making some techno! This thing brings a punch! Large sounds in a small package. Easy to use, but still with deep possibilities! After the circuit comes the Mono Station. Greate workflow, nasty sounds: all you've ever wanted from an analog little devil! I'm using the mono station as a companion next to the regular circuit. Hooking it up to my laptop for more sampling opportunities and adding some soft synths. The oscillators are awesome, filter sounds great, it's just a wonderful workstation. Unwrapped for 1 day already in love. Great machine. Sounds very good. The amazing sound of the bass station II combined with the wonderful sequencer of the circuit = A powerful synth ! I think Novatiion has found the perfect user experience for music gear. From sound to workflow, since Circuit all the range is evolving to sweet spot and a unified language that is a joy. really great unit! sounds great and just a ton of fun to get into. very musical! The tutorial is easy to read. Product is absolutely fine as usual. Great piece of kit, bought it to sit alongside my Circuit and offer more flexible baseline antics. Does exactly that and I've only scratched the surface so far.. Powerful and compact beast that offers a lot more than it looks. Extremely intuitive with sound sculpting made simple with very little page/ menu diving and with parameter locking each step could theoretically be a different sound! My favourite trick is taking the audio out and feeding it back into itself for some unpredictable noisy bass or screaming leads. It's speed and simplicity is what makes monostation a joy. It suits my workflow exceptionally well. Circuit Mono Station is a next-generation sequenced monosynth that originates from the Bass Station II, with three sequencer tracks that benefit from the 32 velocity-sensitive RGB pads found on Circuit. The synth has two oscillators, three distortion modes, plus one multi-mode filter that can be high-pass, low-pass or band-pass. With Circuit Mono Station, the sync and tuning parameters of its two oscillators can be individually controlled. It also offers four waveshapes (sawtooth, triangle, square and sample + hold), a sub-oscillator, ring modulation and noise generation. Users can get the frequency band they want by applying high-pass, low-pass and band-pass filters with slopes of 12dB and 24dB. In addition, Circuit Mono Station introduces a powerful overdrive. Both monophonic and paraphonic modes are available, with each oscillator controlled by its own sequencer. There are three sequencer tracks: two oscillator sequencers and one modulation sequencer. Users can alter gate length, switch patterns instantly, choose sync rate and mutate patterns. A four-by-eight modulation matrix makes it possible to route from LFO with four waveshapes, envelope, sequencer or velocity, enabling complex modulation for pitch, pulse-width, amp, filter, distortion or CV. Up to 64 patches can be loaded and saved on the device, right at the user's fingertips. Circuit Mono Station controls separate hardware via CV, gate and modulation outputs, and has MIDI In, Out and Thru, so other MIDI gear can be connected. Passing an audio signal through the audio input opens up a world of analogue filtration and distortion. Using the audio input with the mod sequencer, a source can be modulated, evolved and processed in entirely new ways. Via USB, Circuit Mono Station can be plugged into Mac or PC, where unlimited patches can be managed using Components. Eight-voice desktop polyphonic synthesiser with three New Oxford Oscillators for each voice. Most ambitious synthesiser to date, enhancing the analogue-modelling engine to increase its sonic range.